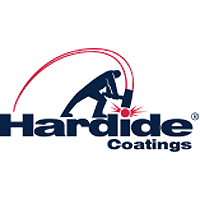 Shares of Hardide Plc ticker code: LON:HDD has stepped up 3.56% or 0.05 points throughout today’s trading session so far. Buyers have stayed positive during the trading session. Range high for the period has seen 1.4 meanwhile the session low reached 1.33. The total volume traded so far comes to 37,043 with the daily average at 357,182. A 52 week share price high is 2.3 equating to 0.95 points in difference to the previous days close of business and a 52 week low sitting at 1.25 a difference of some 0.1 points. Hardide Plc now has a 20 simple moving average of 1.41 and also a 50 day moving average now of 1.64. This puts the market cap at £22.89m at the time of this report. The currency for this stock is Great British pence.Market cap is measured in GBP. This article was written with the last trade for Hardide Plc being recorded at Thursday, November 15, 2018 at 9:56:18 AM GMT with the stock price trading at 1.4 GBX. 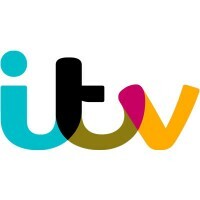 Stock in Imperial Brands PLC ticker code: LON:IMB has moved up 1.11% or 29 points in today’s trading session so far. Traders seem confident during the trading session. The periods high figure was 2652.5 dipping to 2604.5. The total volume of shares traded by this point was 627,964 whilst the average number of shares exchanged is 2,880,749. The 52 week high for the share price is 3193.5 equating to 587 points difference from the previous days close and putting the 52 week low at 2298 a difference of some 308.5 points. Imperial Brands PLC has a 20 SMA of 2699.65 and now a 50 day SMA of 2682.48. Market capitalisation is now £24,802.68m at the time of this report. The currency for this stock is GBX. Market cap is measured in GBP. This article was written with the last trade for Imperial Brands PLC being recorded at Thursday, November 15, 2018 at 12:03:21 PM GMT with the stock price trading at 2635.5 GBX. Shares of Johnson Matthey PLC company symbol: LON:JMAT has moved up 1.6% or 47 points throughout today’s trading session so far. Traders have so far held a positive outlook throughout the session. The period high has peaked at 2984 meanwhile the session low reached 2926. The total volume of shares exchanged through this period comes to 51,228 with the daily average number around 965,248. The 52 week high for the share price is 3873 about 944 points in difference to the previous days close of business and a 52 week low sitting at 2745 a difference of some 184 points. Johnson Matthey PLC now has a 20 moving average of 2997.3 and now the 50 day moving average at 3281.36. This puts the market cap at £5,689.62m at the time of this report. All share prices mentioned for this stock are traded in GBX. Mcap is measured in GBP. This article was written with the last trade for Johnson Matthey PLC being recorded at Thursday, November 15, 2018 at 12:03:35 PM GMT with the stock price trading at 2976 GBX. The trading price for Micro Focus International plc EPIC code: LON:MCRO has climbed 1.12% or 15.5 points throughout today’s trading session so far. Traders are a positive bunch throughout the trading session. Range high for the period has seen 1405 dipping to 1378.5. The number of shares traded by this point in time totalled 528,020 with the daily average traded share volume around 2,398,122. The 52 week high for the shares is 2970.5 equating to 1581 points difference from the previous days close and the 52 week low at 782.2 a difference of some 607.3 points. Micro Focus International plc now has a 20 SMA of 1301.88 and now the 50 day SMA of 1344.08. The current market capitalisation is £5,995.06m at the time of this report. The stock is traded in GBX. Mcap is measured in GBP. This article was written with the last trade for Micro Focus International plc being recorded at Thursday, November 15, 2018 at 12:02:29 PM GMT with the stock price trading at 1405 GBX. The stock price for MONDI/PAR VTG FPD 0.2 ticker code: LON:MNDI has gained 1.39% or 24.5 points throughout today’s trading session so far. Market buyers have remained positive during the session. Range high for the period has seen 1797 meanwhile the session low reached 1769. The total volume traded so far comes to 456,266 with the daily average at 2,750,732. A 52 week share price high is 2250 which comes in at 489 points in difference to the previous days close of business and a 52 week low sitting at 1684 which is a difference of 77 points. MONDI/PAR VTG FPD 0.2 now has a 20 simple moving average of 1825.33 with a 50 day SMA of 1964.92. Market capitalisation is now £8,545.89m at the time of this report. The currency for this stock is GBX. Market cap is measured in GBP. This article was written with the last trade for MONDI/PAR VTG FPD 0.2 being recorded at Thursday, November 15, 2018 at 12:03:37 PM GMT with the stock price trading at 1785.5 GBX. The share price for NMC Health PLC found using EPIC: LON:NMC has climbed 1.85% or 66 points throughout today’s trading session so far. Investors have stayed positive during this period. The periods high figure was 3660 while the low for the session was 3544. The total volume of shares exchanged so far has reached 106,124 while the daily average number of shares exchanged is 495,955. The stock 52 week high is 4376 around 812 points difference from the previous days close and the 52 week low at 2661 which is a variance of 903 points. NMC Health PLC has a 20 SMA of 3418.9 and a 50 day simple moving average now at 3434.04. This puts the market capitalisation now at £7,407.54m at the time of this report. Share price is traded in GBX. Mcap is measured in GBP. This article was written with the last trade for NMC Health PLC being recorded at Thursday, November 15, 2018 at 12:03:13 PM GMT with the stock price trading at 3630 GBX. Click HDD IMB JMAT MCRO MNDI NMC for the full archive.